Inscriptions: c. handwritten in pen: "J - red"; c. handwritten in pen: "put this very small in red at the bottom of the poster on right side (under eagle thing)"; c. handwritten in pen: "red J"; u.r. handwritten in pen: "blue words - drop out to white when they cross the J"; l.r. handwritten in pen: "eagle thing - blue - drop out to white"
"Untitled." Corita Kent in the Grunwald Center Collection. 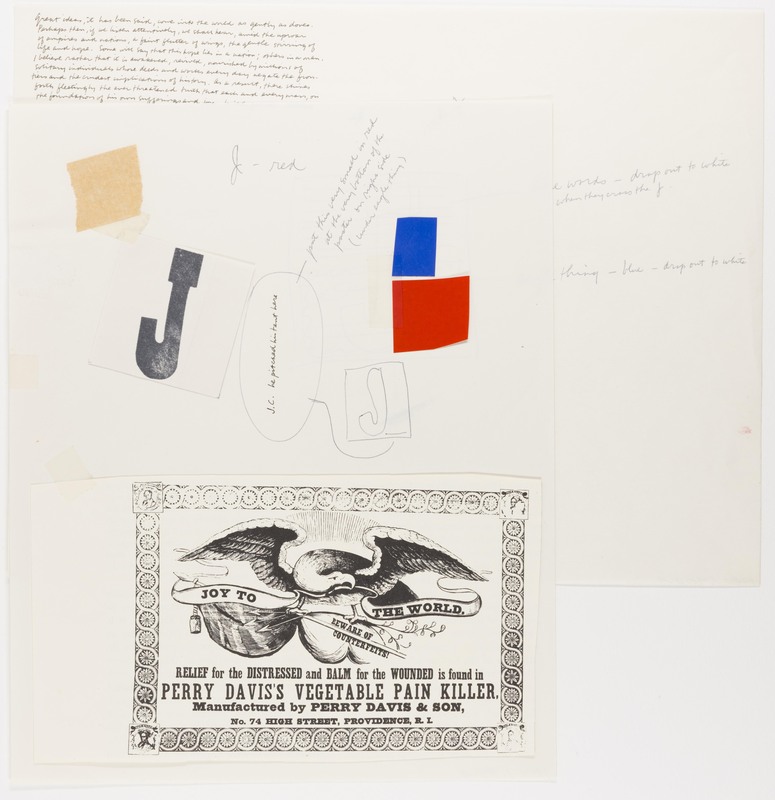 Los Angeles: Hammer Museum, 2017. https://​hammer.ucla.edu/​collections/​grunwald-center-collection/​corita-kent/​art/​untitled-layout-for-j-gentle-stirring/​.